The end of 2012 is here and it is very very close to the one year anniversary of this little blog. 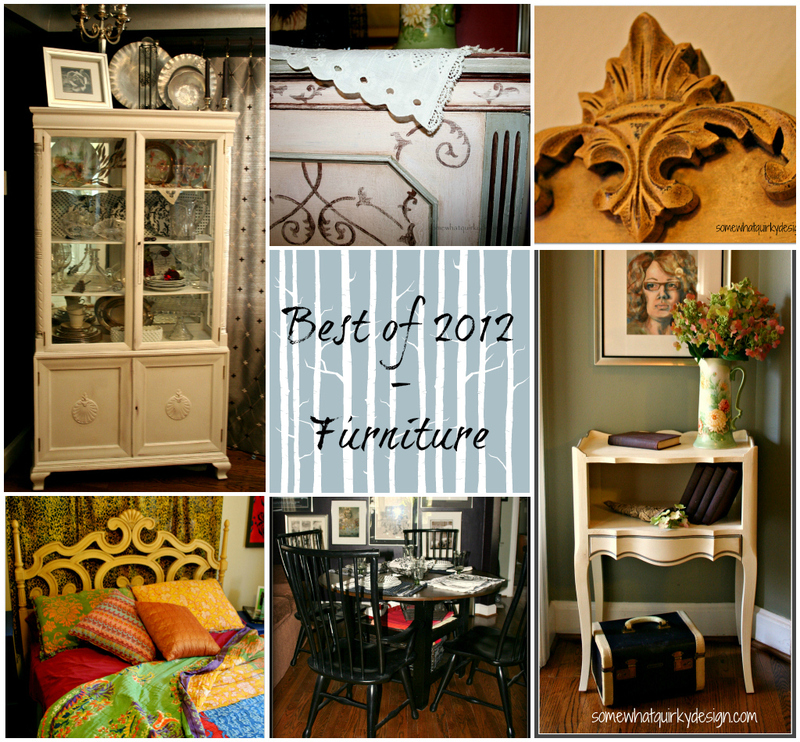 So I'm going to spend the next week highlighting some of my favorite stuff - posts, furniture, projects - from 2012. These are not the most viewed posts, just some of my favorites. I'll do something with the most viewed posts later. By the time I finish I will be ready to celebrate my anniversary. Maybe with cake! Let's get started! 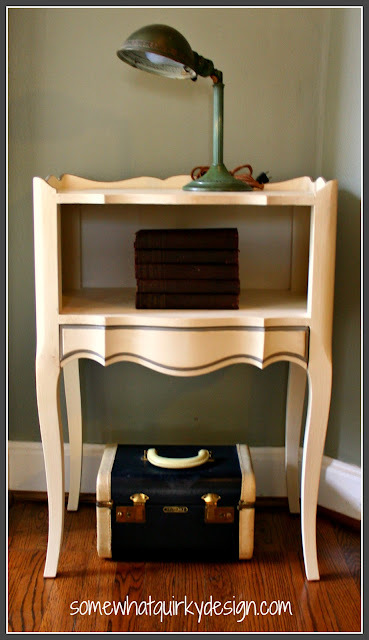 To see more about any of these furniture redos click either the picture or the highlighted text. Last December I bought my first can of chalk paint. Annie Sloan Arles. This was the color chosen by the friend that I was doing a project for. 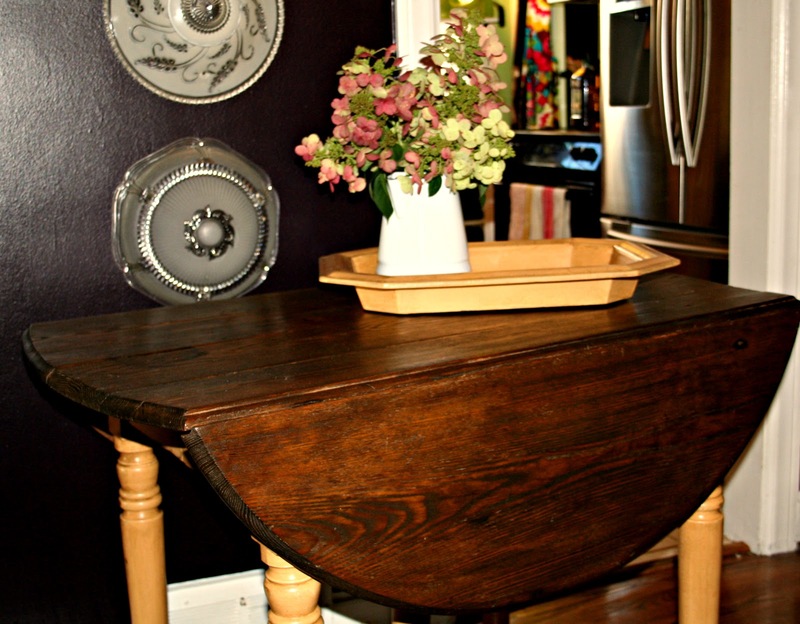 We were restoring an old (very old) table to give to her mother. The dark wax turned the rather weird yellow color to a beautiful mustard color. 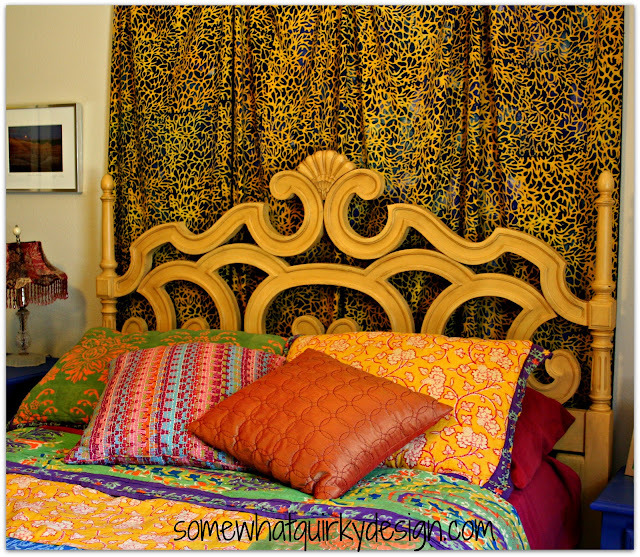 and this headboard - A funny thing happened on the way to getting it finished so it got two posts, post 1 and post 2. Another project for a friend was this slipcovered daybed made from twin beds/headboards. This one got two posts, too. The original post shows what this room looked like before we did a miracle transormation! 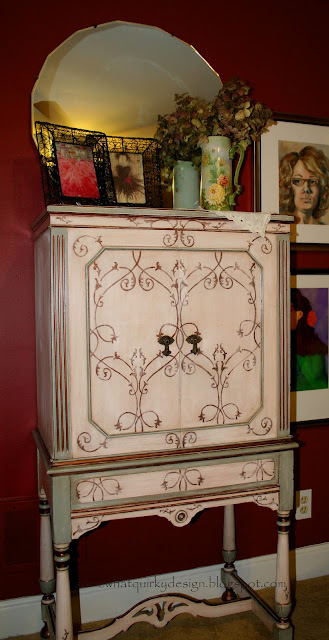 I love this old radio cabinet that I turned into a sewing/craft cabinet. Then I made a new dining room table. For FIVE DOLLARS! And even though I made this bed a long time ago, I posted about it this year. And it's one of my favorite things, so I had to include it. I saw some of these dresser planters on Pinterest and had to make one for myself. The CeCe Caldwell paint held up really well. The dresser, not so much. 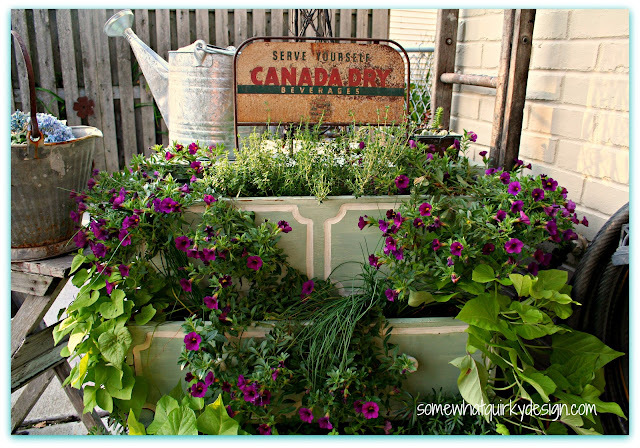 So I will be making another one this spring. This table was hard to part with. Really wish it had been for me! 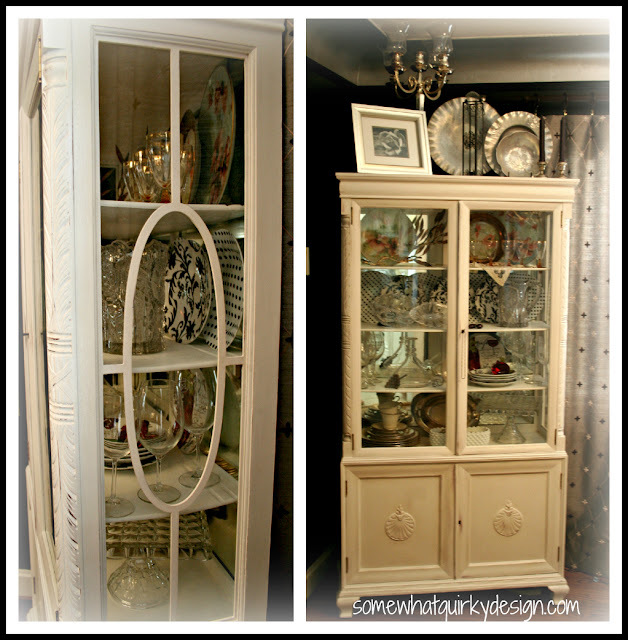 And last but not least - my 6 month china cabinet makeover. What $50 and a lot of hard work and citri-strip will get you! Thanks for reminiscing with me. It's been a great year. I'm glad to have become acquainted with all of you whether you are one of the 46 people who read my blog come rain or come shine, or if you are just stopping by from Pinterest or a blog party. I wish you and yours a loving and healthy 2013! You've completed lots of great projects throughout the year! I still haven't bought a can of ASCP! 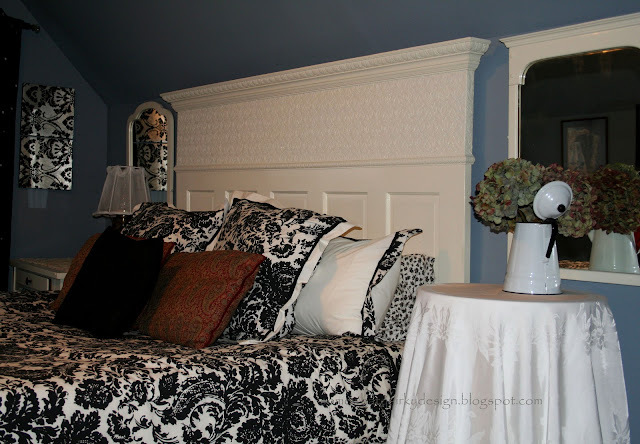 I still love that headboard--I'm thinking about doing something similar. I'll let you know how it works out! 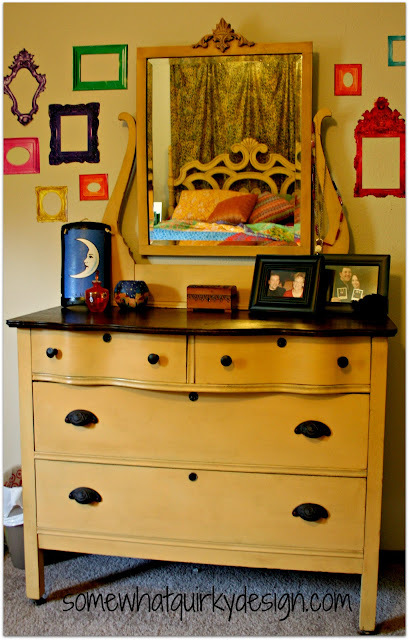 The yellow headboard and dresser are my favorites. I love the look I see on so many blog of "all white", but when it comes to living, I want color. I love the mustard yellow on your furniture. But my favorite is your bedroom with the black and white theme. That is absolutely gorgeous! I just LOVE LOVE the yellow headboard!! WOW!! Visiting from Hometalk. Great projects. We used the bedside table at Christmas. It is so pretty and functional. You do some good work! And I continue to love the day bed. It is such a great napping spot! I just had to pin that dresser-planter. Gorgeous!! When you see it all together like that doesn't it make you feel like you had a productive year? 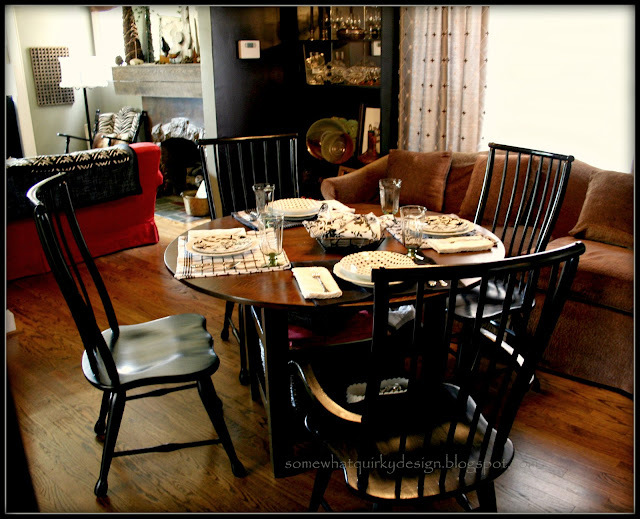 That's some really great furniture make overs! I honestly don't know which one is my favorite. 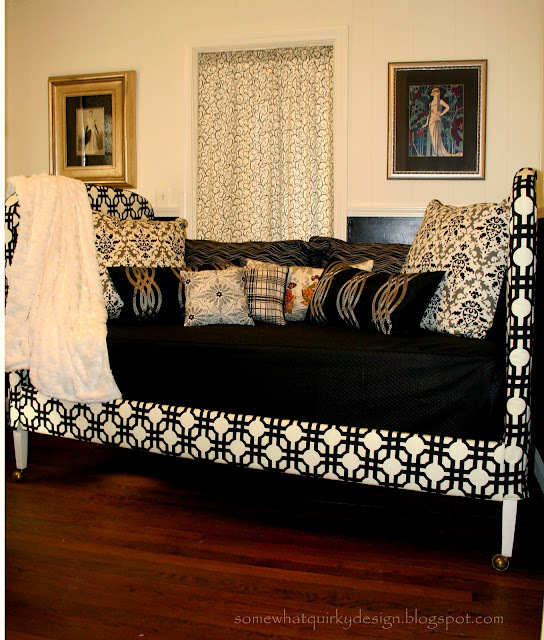 Gosh, I love the daybed, the hutch cabinet, the table, and well, just all of them! Fabulous projects, Karen. The radio cabinet is my favorite but they are all wonderful. Thanks for being a blog buddy and linking up! These are some fabulous interior decor ideas, very creative and resourceful! We're moving into our newly purchased home next week and I'd love to have some of these furniture in our house. Maybe it's time to bring out the artist in me too. I love your old radio cabinet. It will look good on a shabby chic motif (like ours). Where did you find that? My wife is such a good bargain hunter because she got some great finds in an old furniture shop that looks like some of your cabinets. She really did well on beautifying our vacation home in France. This collection is fabulous. I now found an inspiration for an office makeover. The intricately-designed furniture is to-die-for! Wow! The designs are just so fabulous and lovely. What I liked the most was the multi-colored bed design you got there, I'll make sure to order a bed as colorful and vibrant as that one, gonna put it on my list! -Ray A.
I like the outcome of the China Cabinet make over. It looks so simple yet exquisite. I'd love to have that kind of cabinet in my house. Putting inexpensive and elegant porcelain materials would surely make my living room more attractive.